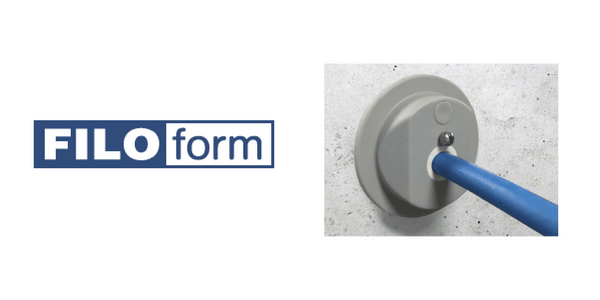 Filoform MD1-FttH is a duct sealing system designed for gas and watertight sealing of FttH home entries with micro ducts and fibre optic cables up to Ø20mm. The diameter of the drilled hole needs to be at least Ø32mm wide and max. Ø40mm. 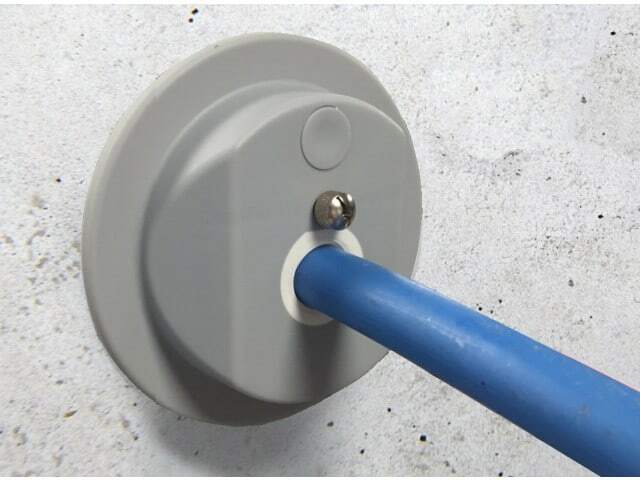 The sealing cap of the Filoform MD1-FttH can be applied to the wall by using the special anchoring pin removing the need for additional holes to secure the cap with screws. A gas and watertight seal of the fibre optic cables is created with use of Filoform expanding PU resin type 2566. After injecting the resin it will expand and fully cure intro a strong and durable duct seal. 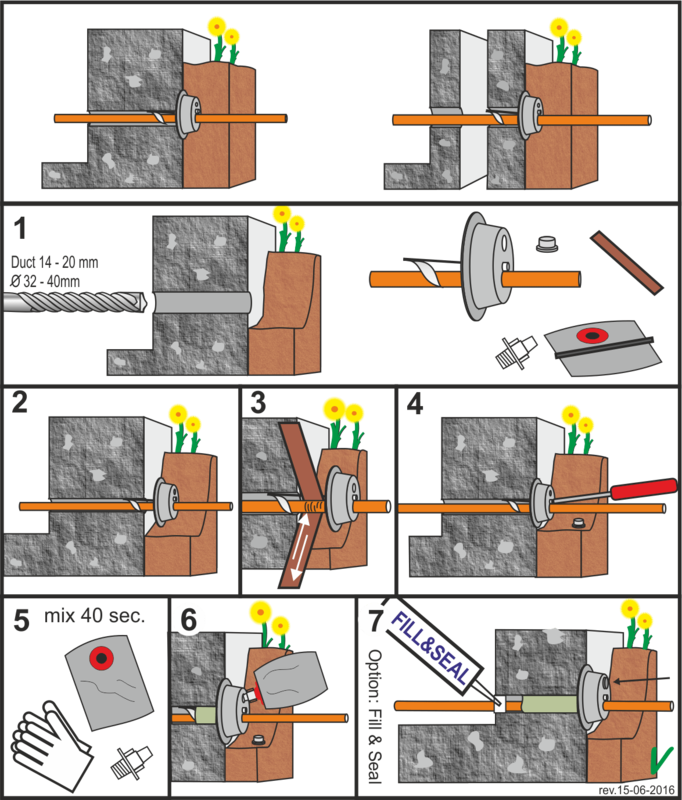 Any irregularities or damage to wall will be restored with the cable sealing resin.